Win guitar pick for life from Dragon's Heart Guitar Picks. Click on the photos for each contestants article or read all the entries on one page by clicking the button below. 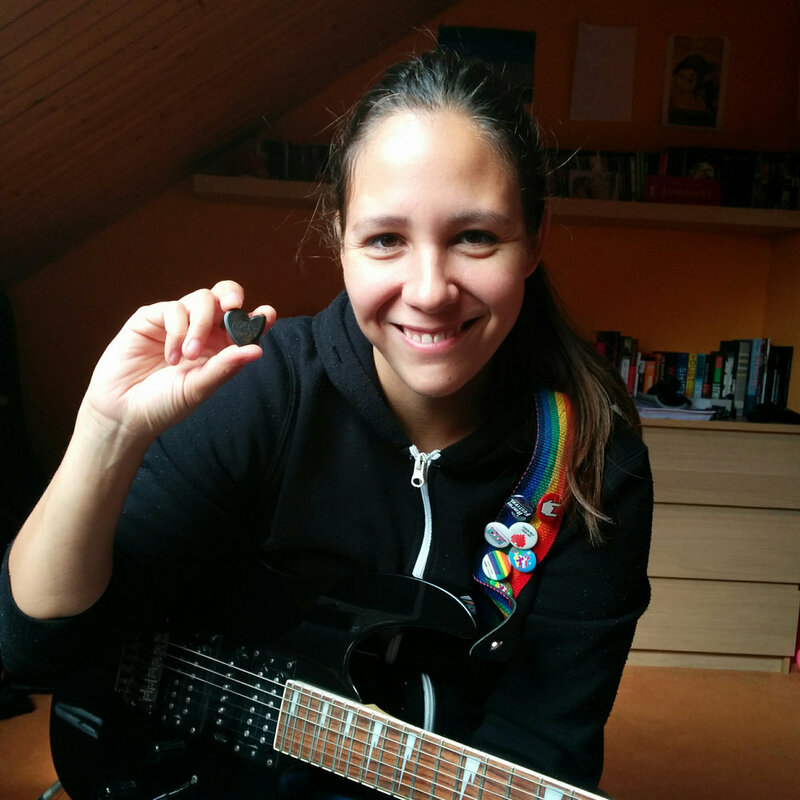 This year will mark the third official year of our Guitar Picks For Life Contest. In the past, this contest has leaned heavily on video entries but this year I wanted to do something a little different. I wanted to change things up a little and hopefully make entering the contest a little more accessible to everyone. Before you get too excited I should let you know that there is still some effort involved and you will have to read this whole article to enter. It is actually very easy this year and you do not have to read too many more words so hang in there. 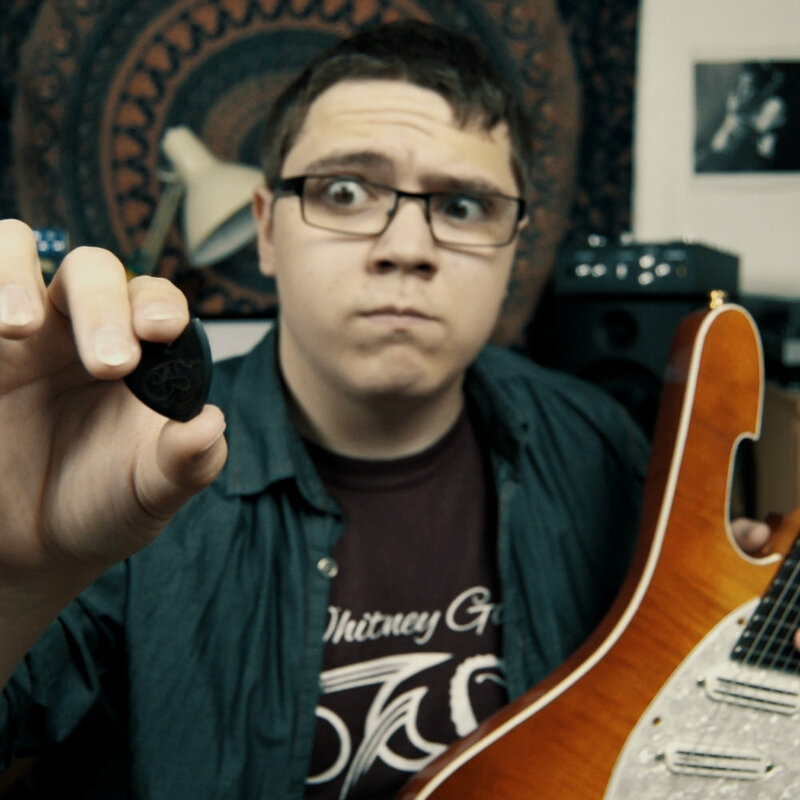 As always, the grand prize winner will receive Dragon’s Heart Guitar Picks for the rest of their life and the first and second runners up will receive a generous spending credit to the online store. 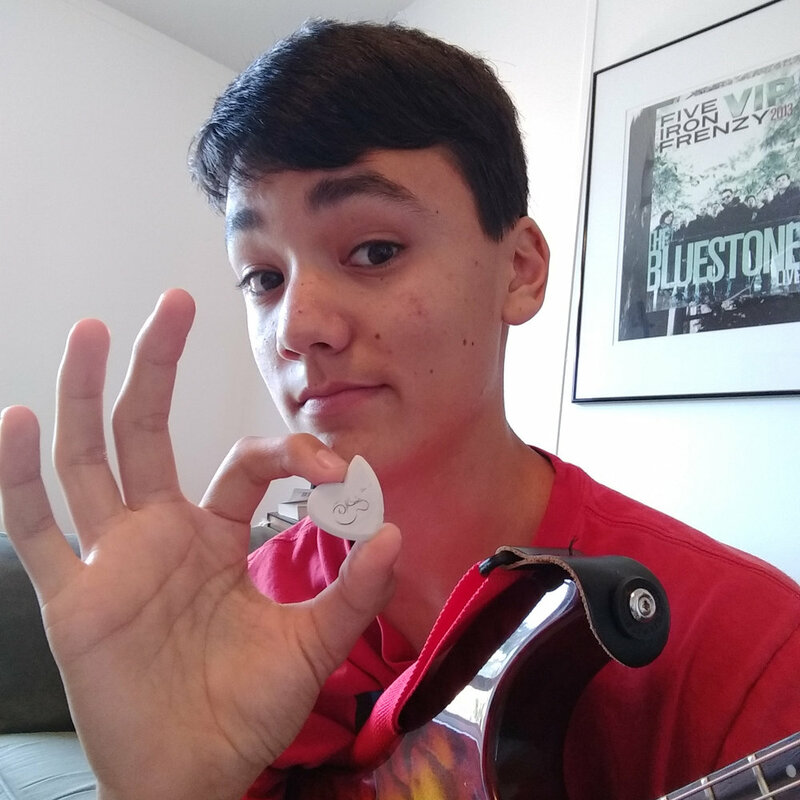 To enter, all you have to do is write a Blog article stating why Dragon's Heart Guitar Picks are the best guitar picks and why you think you deserve to receive them for the rest of your life. Be sure to include #GPFL2017. Entries must be emailed in plain text to me and you must include at least one photo of yourself playing with, or holding up, your Dragon’s Heart Guitar Pick. One photo is required, but if you want to submit more, I am allowing up to three. All photos/images must be original or 100% authorized for use by the individual entering. As long as we are talking about limits, we should probably establish some other guidelines because this is a contest after all. Your article should be at least 300 words but not more than 1200 words. I highly recommend you choose a unique title for your article and include your name so everyone knows who wrote it. Your article may include external links to social media accounts or websites that are owned by you. Your article may not include any material or links that may be considered derogatory or offensive. I will proofread all entries and I reserve the right to reject any submission for any reason. I am pretty easy going so I doubt I will have to make any rejections. I will reply within two business days to all entries to let you know if your entry is good or if there is an issue. If I do not reply then please email me again or call me. My phone number is at the bottom of this page. So now that you know how to enter you are probably wondering how to win? Simply email your article to me in plain text and attach your photos/images. All entries are due by September 30th 2017 and all approved articles will be published on October 1st 2017. Articles will be ranked on November 30th 2017 based on search engine performance, total number of unique readers, and moderated comment interaction. The top 12 performing articles will be subjectively evaluated by a panel of judges and a the winners will be scored. Winners will be announced on December 15th 2017. The Grand Prize Winner will receive a monthly spending credit of $24 to our online store every month for life (spending credit may be accrued, or borrowed from, up to $100). The second and third place winners will receive a one time $250 shopping credit to our online store. The rest of the top 12 will receive a custom engraved Dragon’s Heart Guitar Pick and Dragon’s Hide Leather pick holder of their choice.